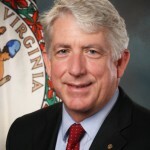 ROANOKE, Va. (AP) _ Attorney General Mark R. Herring says too many Virginians are losing loved ones to fatal drug overdoses. Herring unveiled a five-part plan to combat drug abuse on Monday during the Virginia Association of Chiefs of Police’s annual conference in Roanoke. The plan includes partnering with local and federal prosecutors, developing legislative solutions, prevention and education, and accountability for professionals who illegally make prescription drugs available. The plan also includes a day-long summit on heroin and prescription drug abuse. The summit will be held Oct. 2 in Charlottesville. Herring says in a news release that fatal heroin and prescription opiate overdoses have increased recently in Virginia. State figures show that fatal heroin overdoses rose from 103 in 2011 to 197 in 2013.